Thirteen million iPhone 6S’s were sold on its first weekend, and the number of iPhones sold worldwide had reached a whopping 1 billion. With so many sales, why did the new iPhone 7 sell out during the first day of preorders? If you have an older phone that’s still functional, buying a shiny new one is commonly regarded as a waste of money. However, if you didn’t buy that new phone, how long would your old one actually last? According to Globe and Mail’s article, Your new iPhone will soon be trash, and that’s the point, and Hustle’s, Why Your iPhone Only Lasts Two Years, Max, the answer is: probably not that long. Technology companies are using a method known as planned obsolescence to limit product life and force their customers into making repeated purchases. 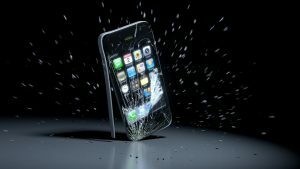 By creating hardware that is easily broken, such as fragile glass screens, and software that is incompatible with older devices, a product with a ten-year lifespan perhaps only lasts for two. Here comes the question: is planned obsolescence an ethical way to achieve profitability? My answer is no. The shortened replacement cycle requires increased production, which in turn requires an additional use of materials. With scarcity as a central economic concern, the excessive production is far from being socially responsible and ethically acceptable. The resources, including land, labour, and raw materials, could be better used elsewhere. In addition, planned obsolescence is creating troublesome environmental consequences for our society. Heavy pollution is generated in the extraction process while waste is also created post-production, as many devices are disposed into the landfill with lithium batteries still attached. The companies themselves are typically not required to pay large sums of external costs for the environmental degradation it causes. To make the matters worse, our consumers have to pay taxes to cover for the society’s loss in natural capital. These days, the concept of planned obsolescence is applied beyond smartphones. Toothbrush bristle colours fade when it “needs” to be replaced and so does the colour strips on razors. With products that are not only designed to break down, but also warns you to get replacements regardless of if it truly is, the carbon footprint left behind by planned obsolescence is larger than ever. The consumers, who are also stakeholders in this exchange of goods, do not have their values heard. Instead of receiving durable products at a reasonable cost, buyers are forced to spend more and more money to purchase goods of inferior quality due to the implications of planned obsolescence. I find it extremely unethical how companies are taking advantage of consumers’ hard earned money while also harming the society’s resources. Benner, Katie. “Apple IPhone 6s Breaks First-Weekend Sales Record.” The New York Times. http://www.nytimes.com/2015/09/29/technology/personaltech/apple-iphone-6s-breaks-first-weekend-sales-record.html?_r=0 N.p., 28 Sept. 2015. Web. 10 Sept. 2016. Booton, Jennifer. “Apple Hits IPhone 7 Supply Issues on First Day of Preorders.” MarketWatch. http://www.marketwatch.com/story/apple-hits-iphone-7-supply-issues-on-first-day-of-preorders-2016-09-09 N.p., 09 Sept. 2016. Web. 11 Sept. 2016. Costello, Sam. “How Many IPhones Have Been Sold Worldwide?” About Tech. http://ipod.about.com/od/glossary/f/how-many-iphones-sold.htm N.p., 22 Aug. 2016. Web. 11 Sept. 2016. Hodges, Ann, and Porcher Taylor. 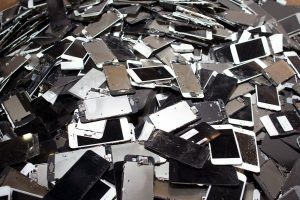 “THE BUSINESS FALLOUT FROM THE RAPID OBSOLESCENCE AND PLANNED OBSOLESCENCE OF HIGH-TECH PRODUCTS: DOWNSIZING OF NONCOMPETITION AGREEMENTS.” http://stlr.org/download/volumes/volume6/hodges.pdf SCIENCE AND TECHNOLOGY LAW REVIEW (2005): 2-15. Web. 10 Sept. 2016. Stiles, Jackson. “This Is How Long Your Apple IPhone Will Last | The New Daily.” This Is How Long Your Apple IPhone Will Last Comments. http://thenewdaily.com.au/life/tech/2016/04/18/iphone-life-expectancy/ The New Daily, 18 Apr. 2016. Web. 10 Sept. 2016. Roettgers, Janko. “Apple Won’t Release First-Weekend IPhone 7 Sales Numbers.” http://variety.com/2016/digital/news/apple-iphone-7-no-sales-numbers-1201855000/ Variety. N.p., 08 Sept. 2016. Web. 10 Sept. 2016. Can the MBTI Define Who I Am? © 2019 Mei Qing (Maxine) Chen's Blog. Theme by Anders Norén.